As an FSU alum and Tallahassee resident, Greg Jaap knows the value of working for a company whose Florida roots run deep. Greg is the Profit Center Leader and Executive Vice President of the Tallahassee division of Brown & Brown Insurance. 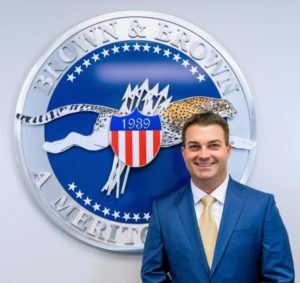 Since opening its doors in Daytona Beach in 1939, Brown & Brown has grown into one of the largest and most respected insurance intermediaries in the nation with more than 75 years of continuous service. Brown & Brown Insurance is a full-service, independent agency offering personal insurance, business insurance, employee benefits, and surety bonds. The Tallahassee office has been providing customized packages to fit its customers’ varied and unique needs for the last fifteen years. Under Greg’s leadership over the last five years, the Tallahassee office has expanded its capabilities to offer their clients the local presence and expertise of a small-town agency with the resources and strength of a large, international insurance brokerage. As a member of the Tallahassee business community, Brown & Brown proudly supports local organizations and charity events like the United Way of the Big Bend, TMH Golden Gala, Boys and Girls Clubs of the Big Bend, LeMoyne Chain of Parks Art Festival, and the upcoming Big Bend Heart Walk. When Greg is not in the office, he enjoys spending time with his wife, Kelly, and daughter Kenzie. They are thrilled to be welcoming a baby boy, Tucker, in October. Greg and his family are avid Seminole fans and proudly support their Noles.